While playing, Zeny is one of the main keys to progress quickly through the game. It is used for purchasing potions, equips, and other useful items to improve your character's overall attack and defensive capabilities. Spending lots of money will slow your Zeny gain, but it's ok as long that you spend them wisely!. To earn more, you have to save more!. Purchase equips that you think you will be using for a longer period of time. - Complete Main or Sub Quests to get rewards and free Zeny. - Repeatable Quests: Just get what you think is easy for you to complete. - Event or Gold Coin Quests: Compete them twice a day to earn more free Zeny. - Do not farm early game because Zeny from monsters and items are too low. Focus on leveling up by doing quests until EXP gain feels really slow. equips that you don't need. Earn 20 pieces then sell them at the Auction Machine around 30k to 40k, depending on your server. Blessing Runes are higher, around 10k each. 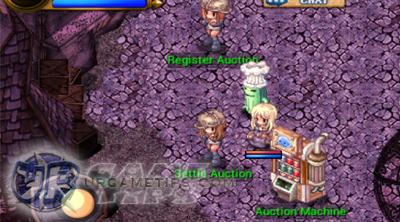 - Sell Grade 1 (white) equips and common Monster Loots to NPC shops. 1800 Zeny to NPC shops, otherwise, disassemble them. prices for that item first to get an idea before registering. Always price it at least 1 Zeny cheaper than the others to make it easier to sell. this link to learn How to Optimize Your Inventory Slots. - Use Butterfly Wings, buy them from consumable merchant NPCs. check their prices at the Auction Machine then adjust all the prices above. 20k to 200k per run, more if you have good equips for easy farming and some luck. > Check Current Zeny. If you are happy with the increase, keep doing more runs, otherwise, try other monsters (depends per job class). - Try to find a place that will not burn lots of Potions and have high drop rates. - Note that VS or higher rank monsters gives better grade items. - Party: More people in a party also increases drop rates! - Example Farming Party: AOE Wizard/s, a mob tank and lurer, and a healer. - MVP/Elite/VVVS Boss Hunts: Try to defeat these monsters to get rare items! Most of them can be found inside Instance Dungeons. Notable Boss Drops: Rank 4 (purple) Armors, Weapons, Cool Headgears, Cash Shop Items, and more! - Most of them are dropped by VS/VVS/VVVS Instance Dungeon monsters. - Do not Refine your Rough Oris or Elus because Pure ones are non-tradable! - Most of them are dropped by Instance Dungeon monsters. found at higher level dungeons. Check Auction Machine for prices. accessories from VVS Disguise, the map location is just below Valder. Hurry while the demand is high and before the prices goes down!. From the start, I was able to sell a lot of these cards from 400k each until the prices went down to 50k each Lol, because a lot of players are unaware and they just ignored VVS Disguises. You can still farm them though, new players will need these items too. - Find monsters that drops good cards too. Keep this in mind for future updates. - For best results, always take advantage in-game events like increased drop rates! - Sell Runes, Cards, Equipment, and other items that you think players would like. that are priced very cheap than it's average price!. - Always check the Auction Machine to familiarize yourself with the prices. equips there, even cheaper than the item's crafting fee! - Do not put cards into a clean equip just to increase the worth of that item! Most players prefers clean uncarded items. to go down (around 10k/set) because they won't need it anymore, but when the Cap is lifted and new Weapons and Armors are out, these high level players will now start to horde lots of Rough Elus and Oris, so I suggest that before the cap is lifted, buy all cheap Rough Elus and Oris then sell them around 100k/set after the cap! farm them then sell to the Auction NPC. Check all Artificer NPC sfor new weapons and armors (materials needed). Some would even buy them 50k~100k a piece! but the rewards are great. Good Luck! get some expensive Grade 2 or 3 cards. Check the Auction Machine for sample prices. other players or the Auction Machine. Other players would want them for Compounding Rank 3 cards too. be able to use VVS or VVVS items, then sell them to the Auction Machine once you are through with it. - Go here for more info on how to Create or Craft VS/VVS/VVVS Items. - For more info, go here: Weapons and Armor Upgrading Guide.